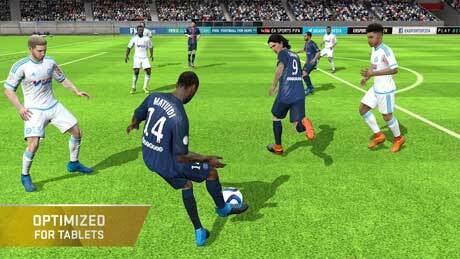 In this game, You can manage your ultimate team, create your own fantasty team, choose your play style, … . you also can pick the right player and beat the challenge to earn rewards. you can go battle against players from real leauges around the world, also you can buy players that you can’t unlock better than. FUT has provided some useful features for players. the interface improvements is one of them. by this improvement you are able to swap squad players efficiently, manage pack items quicker, search the Transfer Market by in-form, and etc. another feature is broadcast presentation, that puts your club at center stage. there’s a new way to play ultimate team, called FUT Draft. Sure.. You have to update it since its best football game ever for real.. .please rewuest for the updating. 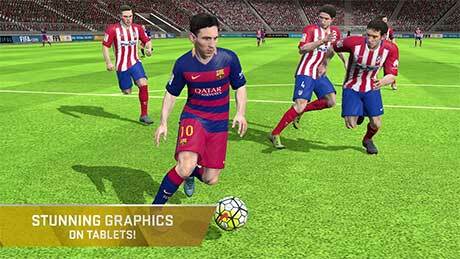 when will u uplaod fifa16apk ne update 3.3.11?? Download APK v3.2.113645. This is mod? nice job revdl this is the best ????? What version did u download? VERY BAD GAME! every time need online. Multiplayer mod is need wifi connection and ea server connection is timeout after every 1 match. Please add latest version MOD please. And it is OFFLINE ? Does it work on lennovo k3 note.if it does then tell me what to do after downloading? Rev does it need internet connection to play it? 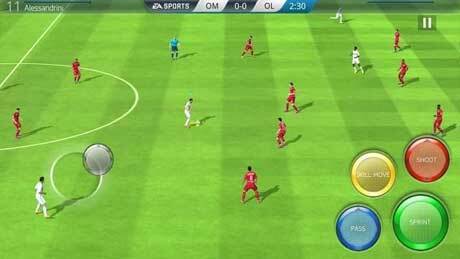 Can you play fifa16 offline? Does it have a lot of money? Is that really we free shopping in latest version?